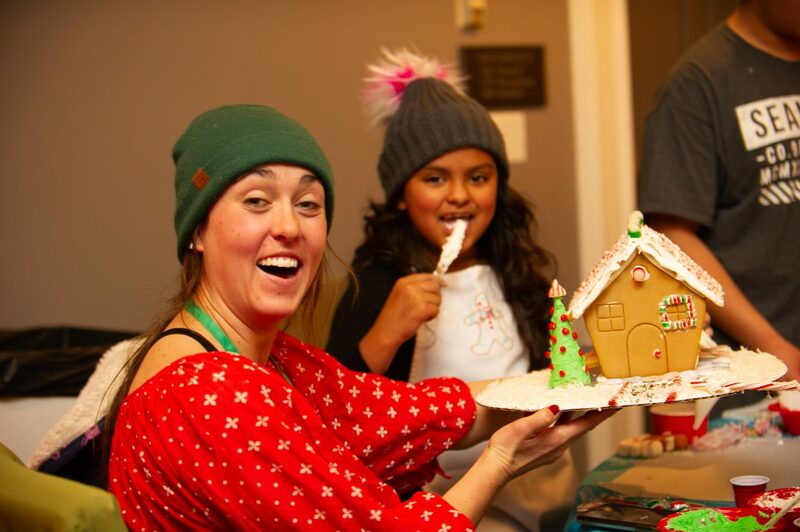 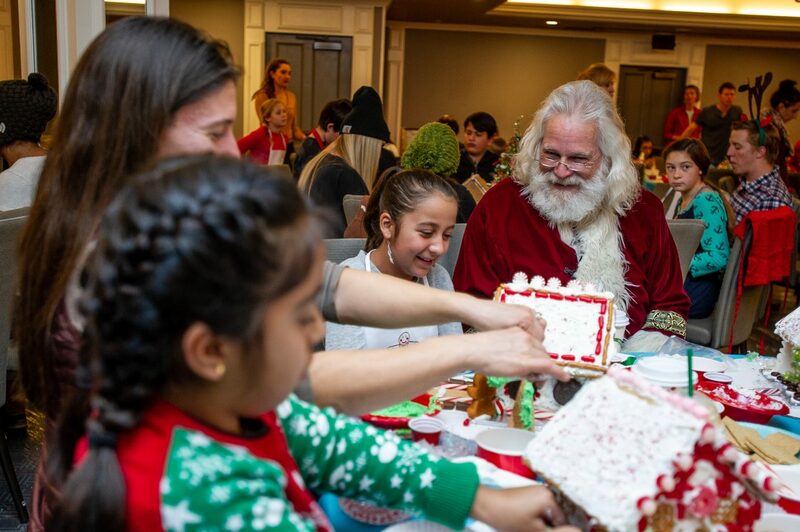 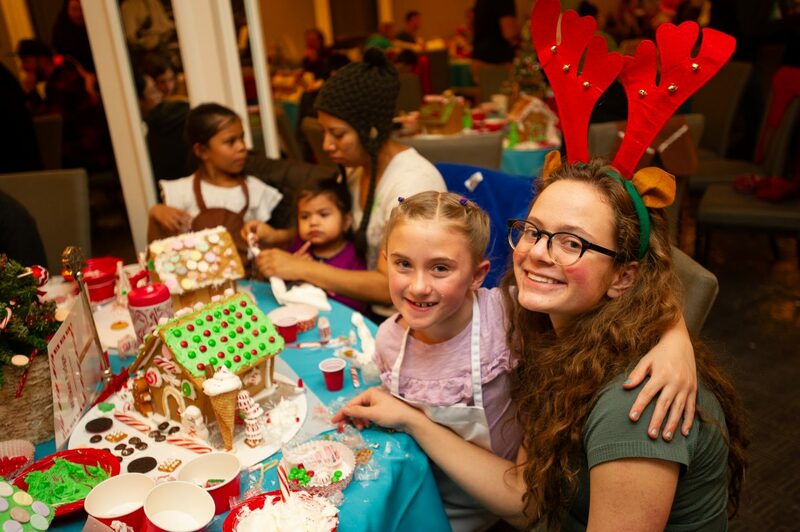 Alison Chaparro, 10, shares a laugh with Santa while decorating her gingerbread house at the 6th annual Buddy Program event held at the Little Nell on Saturday afternoon. 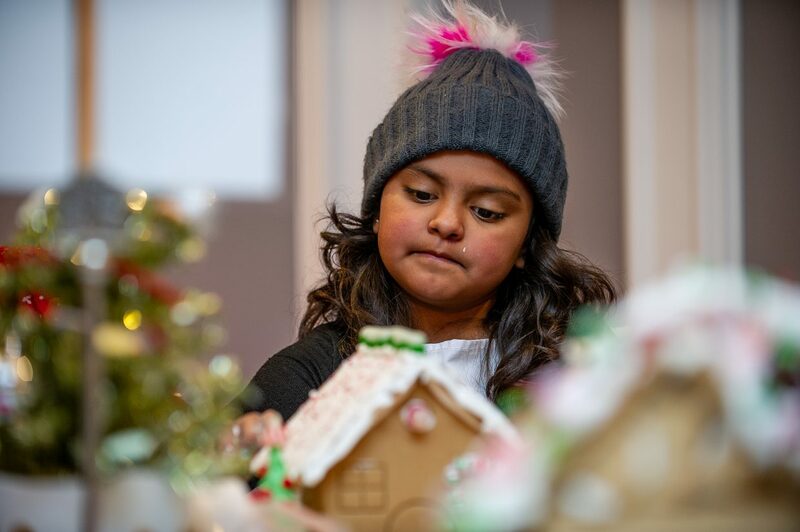 Debbie Morales, 8, decorates her gingerbread house at the 6th annual Buddy Program event held at the Little Nell on Saturday afternoon. 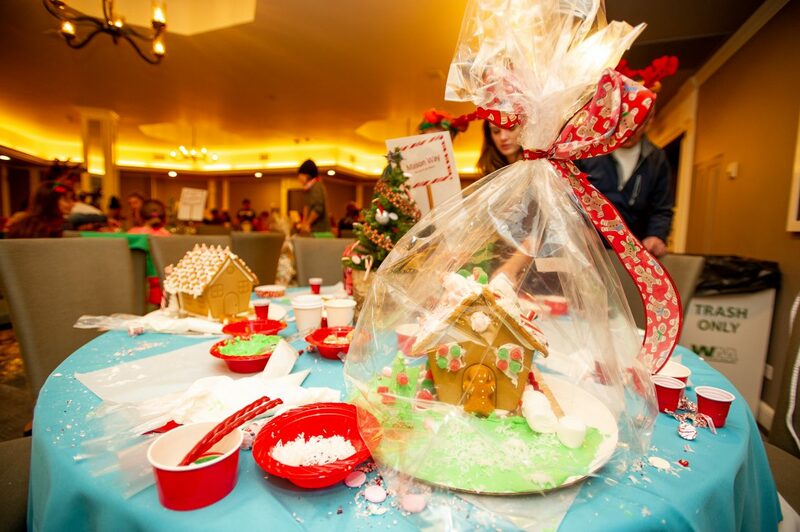 OUR HOUSE: Gingerbread houses can be homemade (if you’re feeling really festive), but for the recent Buddy Program gingerbread house decorating event they were purchased in kits. 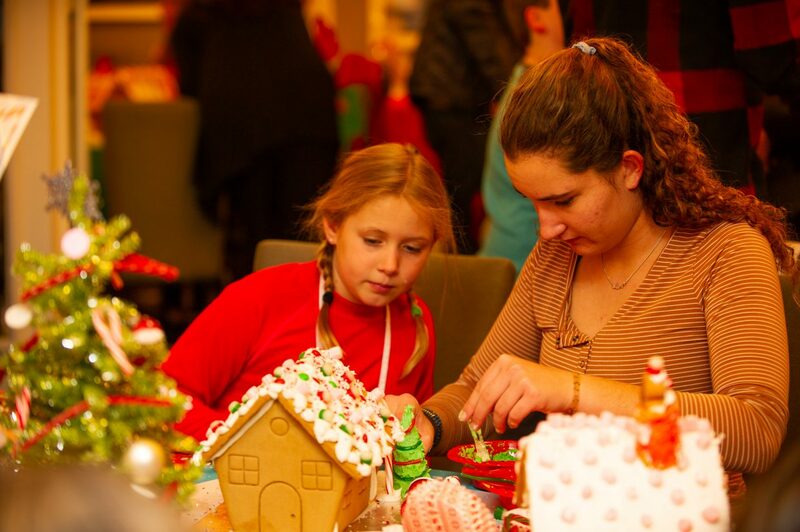 You can find kits of all kinds — single houses, tiny houses, villages and more — at most grocery stores and big-box outlets. 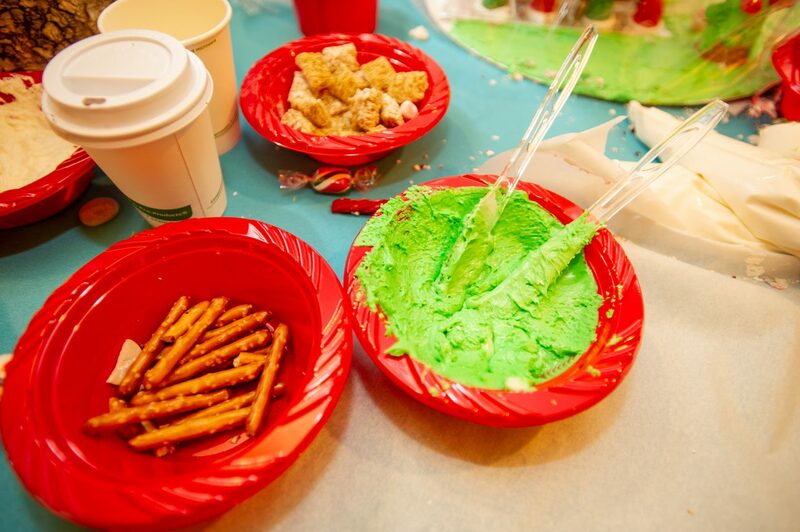 You can also do the elementary school way by “pasting” graham crackers on small milk cartons, giving your creation a truly old-school vibe. 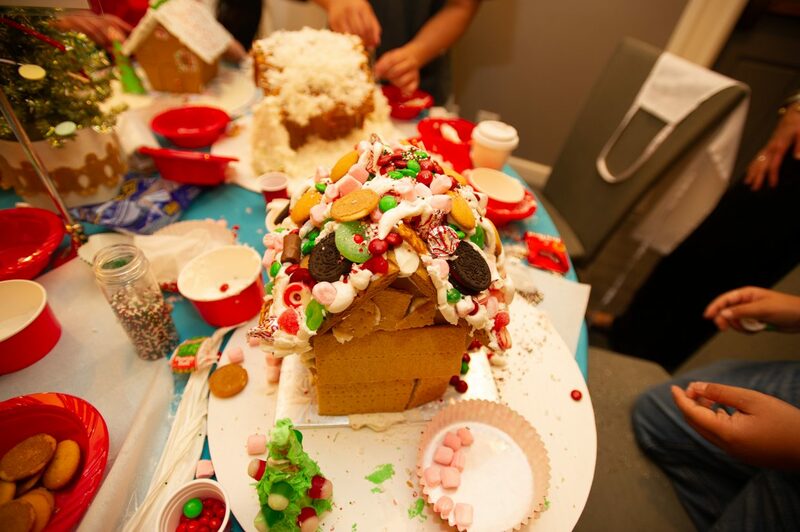 CAN’T HAVE TOO MUCH CANDY: And we mean you can’t have too much candy available for decorating, nor put too much on that gingerbread house. 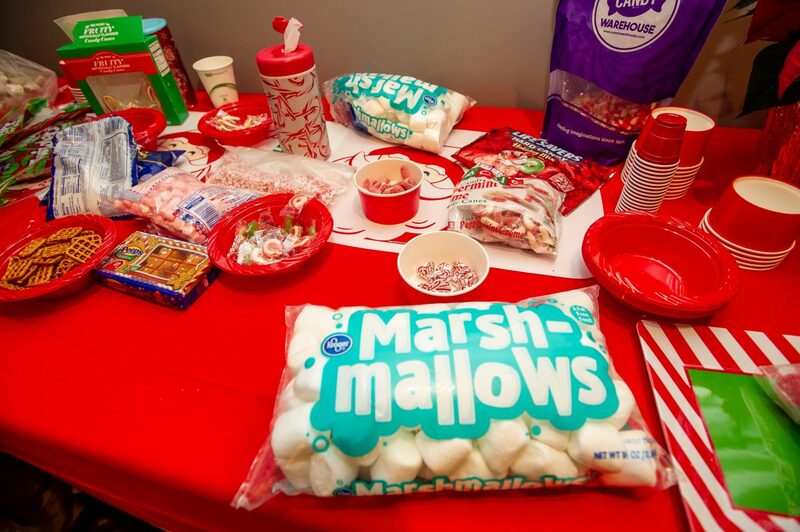 On the Buddy Program table of goodies: marshmallows, gumdrops, pretzels, hard candies, Twizzlers, candy canes and more.